Depression can make us physically older by speeding up the ageing process in our cells, according to a study. Lab tests showed cells looked biologically older in people who were severely depressed or who had been in the past. These visible differences in a measure of cell ageing called telomere length couldn’t be explained by other factors, such as whether a person smoked. The findings, in more than 2,000 people, appear in Molecular Psychiatry. Experts already know that people with major depression are at increased risk of age-related diseases such as cancer, diabetes, obesity and heart disease. This might be partly down to unhealthy lifestyle behaviours such as alcohol use and physical inactivity. But scientists suspect depression takes its own toll on our cells. To investigate, Josine Verhoeven from the VU University Medical Centre in the Netherlands, along with colleagues from the US, recruited 2,407 people to take part in the study. The researchers were looking for changes in structures deep inside cells called telomeres. Telomeres cap the end of our chromosomes which house our DNA. Their job is to stop any unwanted loss of this vital genetic code. 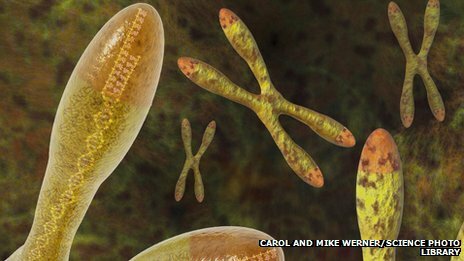 As cells divide, the telomeres get shorter and shorter. Measuring their length is a way of assessing cellular ageing. People who were or had been depressed had much shorter telomeres than those who had never experienced depression. This difference was apparent even after lifestyle differences, such as heavy drinking and smoking, were taken into account. Furthermore, the most severely and chronically depressed patients had the shortest telomeres. Dr Verhoeven and colleagues speculate that shortened telomeres are a consequence of the body’s reaction to the distress depression causes. \”This large-scale study provides convincing evidence that depression is associated with several years of biological ageing, especially among those with the most severe and chronic symptoms,\” they say. But it is unclear whether this ageing process is harmful and if it can be reversed. UK expert Dr Anna Phillips, of the University of Birmingham, has researched the effects of stress on telomere length. She says telomere length does not consistently predict other key outcomes such as death risk. Further, it is likely that only a major depressive disorder, not experience of or even a lifetime of mild-to-moderate depressive symptoms, relates to telomere length, she said. via BBC News – Depression ‘makes us biologically older’. “Depression is a big problem and we definitely need to pay more attention to it than we are now,” she told BBC News. “There’s still more work to be done in terms of awareness of the disease and also in coming up with successful ways of treating it. “There’s lots of stigma we know associated with mental health,” she explained. The data – for the year 2010 – follows similar studies in 1990 and 2000 looking at the global burden of depression. “It’s a big public health challenge and a big problem to be reckoned with but not enough is being done. via BBC News – Depression: ‘Second biggest cause of disability’ in world. Can a self-help book aid depression? A year later, those in the self-help group were more likely to be keeping on top of their depression. Study leader Prof Christopher Williams, from the University of Glasgow, who also wrote the books called Overcoming Depression and Low Mood, said the guided sessions were the key to getting people engaged. In Scotland, a telephone support service has now been set up to help support those using the books, which can be freely copied and disseminated, he added. “We found this had a really significant clinical impact and the findings are very encouraging,” he said. The challenge for the NHS, where self-help books are already used in many places, is how to implement this model so people have easy supported access in primary care, he said. There has been huge investment in better treatment for depression in the UK in recent years with the Improving Access to Psychological Therapies programme in England set up to widen access. It has been estimated this approach could save the NHS up to £272m and the wider public sector £700m. But, says Prof Williams, despite the huge levels of investment, it is just not possible to refer everyone with depression to mental health services. Dr Paul Blenkiron, consultant in adult psychiatry at Leeds and York Partnership NHS Foundation Trust, said the results showed that guided self-help is effective and is “something the NHS should be investing in”. He is currently advising on behalf of the Royal College of Psychiatrists, on a National Books On Prescription Scheme, to be rolled out across UK public libraries this year. Thirty books, including the one used in the study, have been selected. The poll of 260 mothers with antenatal depression found they were at greater risk of worsening mental health problems then women with postnatal depression. Antenatal depression, which occurs during pregnancy, is less known and talked about than postnatal depression, which happens after the birth of a baby. This small survey suggests that those who suffer from depression during pregnancy are at greater risk of worsening mental health problems than those who have postnatal depression alone. 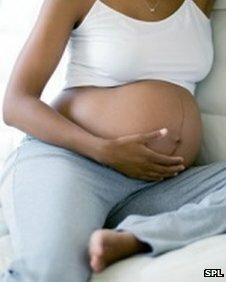 According to the survey, 80% of women with depression in pregnancy also went on to have postnatal depression. About 56% of those surveyed had problems during their first pregnancy but almost 66% said they had problems during their second. Just over half of the women said their illness had affected their relationship with their baby and 38% said they had problems bonding with their baby. 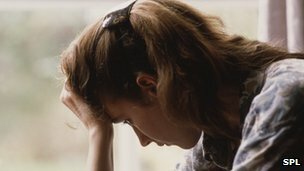 Only 30% were warned about antenatal depression by midwives and most of the women said it took a few months before they realised that they had a problem. Just 22% sought medical help from their GP at that point – perhaps because only one in three women were aware of the possibility of becoming depressed during pregnancy. Just 27% reported being asked how they felt emotionally during their pregnancy. Hayley was 12 weeks pregnant when she started feeling awful. “I had bad sickness and I just thought I was really tired, but it was getting worse,” she says. Everyone kept telling Hayley she was lucky to be pregnant, particularly since she had been told she would never conceive. She went to GP for help but was given no support. Instead, she was crippled with fear and anxiety during her pregnancy and couldn’t get excited about the arrival of her first child. When Toby was born, everything changed and Hayley was on a real high. During her second pregnancy, Hayley did not suffer antenatal depression, but she was diagnosed with delayed postnatal depression when her son Zac was two. Cathy Warwick, chief executive of the Royal College of Midwives, said the survey showed an urgent need to identify and help women with antenatal and postnatal depression. Sally Russell, co-founder of Netmums, said depression and anxiety could make life very difficult for parents with a new baby. “Midwives can do a lot to help and reassure, so they should be open with mothers and fathers-to-be about the condition and trained to spot the signs. Health Minister Dr Dan Poulter, who announced the £25m fund to improve maternity services, said hospitals would be able to bid for en suite facilities, rooms where fathers can stay overnight or facilities like birthing pools. “A new arrival in the family is a joyous time but can present challenges for mums and families, particularly new families. I want to help women and their partners as much as possible,” he said. The NHS Information Service for Parents is available to every new parent to sign up to if their chid is under six months old. From next year it will support parents with babies and young children up to 18 months old. In May, the government also pledged to recruit an extra 4,200 health visitors and give them training to diagnose postnatal depression. 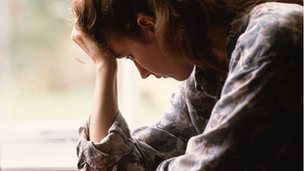 The number of people living with depression in England has increased by nearly half a million in three years, according to an analysis of NHS data. The total number for 2010-11 stood at 4.7 million people. Data analysis firm SSentif said there was also a large increase in the number of prescriptions for anti-depressants. Charities said more people were speaking to their GP about depression, but the figure was likely to be the “tip of the iceberg”. The data suggested the largest percentage increase was in Yorkshire and the Humber, where the number of registered cases increased by 19%. She said more people were being affected by job losses and relationship breakdowns in the current economic climate. However, she said there had been a shift in society’s perceptions of depression and doctors had become better at diagnosing it. “More people are coming forwards and they are coming forward because the level of support is better,” she said. One in 10 workers has taken time off because of depression, a poll of 7,000 people in seven European countries has found. The Mori survey was carried out for the European Depression Association (EDA) in Britain, Germany, Italy, Denmark, Turkey, Spain and France. Those in Britain, Denmark and Germany were most likely to be off work because of depression. A UK expert said support for people with depression was improving. Overall, 20% of the 7,000 polled had received a diagnosis of depression at some point in their lives. The highest rate was in Britain, where 26% had been diagnosed and the lowest in Italy, where the figure was 12%. Among workers experiencing depression, those in Germany (61%), Denmark (60%), and Britain (58%) were most likely to take time off work, while those in Turkey were the least likely (25%). 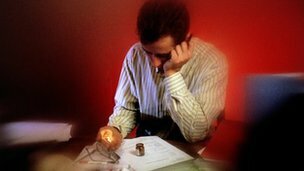 Researchers have previously estimated the cost of depression at €92bn (£73bn) in 2010 across the EU, with lost productivity due to time off or under-performance accounting for most of the costs. An average of 36 days were taken for the last episode of depression – but figures ranged from 41 in Britain to 23 in Italy. Across the countries surveyed, one in four of with depression said they did not tell their employer. One in three of them said they were worried it could put their job at risk. A third of the 792 managers surveyed said they had no formal support in place to help them deal with employees experiencing depression. But the situation was better in Britain, with most of the 117 managers questioned reporting good back-up from their HR department. Dr Vincenzo Costigliola, president of the EDA, said “The results of the survey show that much needs to be done in raising awareness and supporting employees and employers in recognising and managing depression in the workplace. MEP Stephen Hughes, who holds the Employment and Social Affairs portfolio in the European Parliament, backs better support and protection for workers. Emer O’Neill, chief executive of the Depression Alliance, said the situation in the UK was improving. “We have moved forward significantly. Depression and anxiety is being talked about more and is more widely recognised. GPs are more receptive. “In addition, employers are increasingly coming to groups like us to help them provide support and put procedures in place to allow people to go through this illness like they would any other.